Chinautee is actually the exaggerated version of Nepalese word "Chinaunu", which means to cut clean, a clear cut." 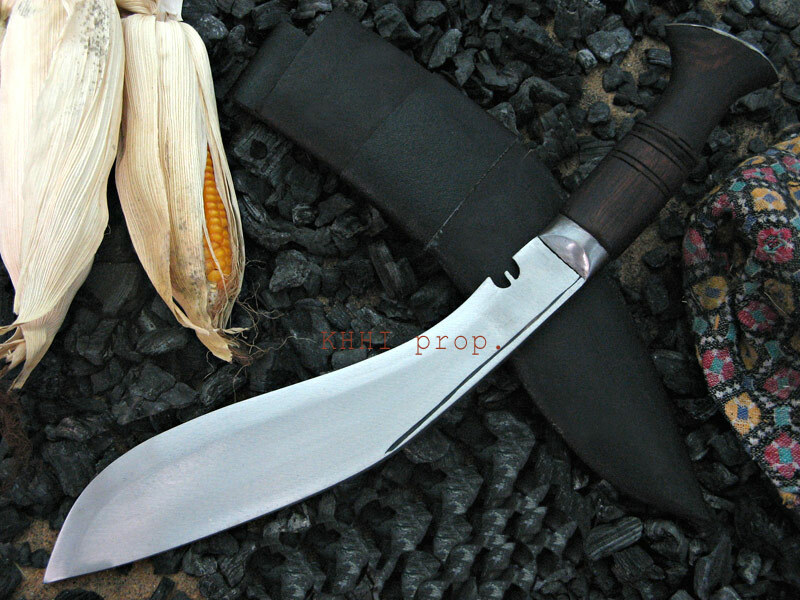 A typical village knife made in the remote villages of the hilly regions of Nepal. Craftsman from these villages forge khukuri knives with their bare hand and a few set of very conventional tools to perform their daily domestic and cutting activities. Villagers live so remote that they are completely cut off from the modern world and civilization. They go about their lives by cultivating, farming, animal-rearing and other laborious activities etc; carrying out a typical harsh farmer’s life. A khukuri, thus, plays an important role in the lives of these people as most of their lives are occupied/ spent in woods and jungle. The Chinautee thus serves as both; a cutting tool to clear and collect and also a weapon to defend and defy. A village kukri knife made for easy and smooth cutting outdoor and indoor. The name Chinautee is actually the exaggerated version of Nepalese word “Chinaunu”, which means to cut clean, a clear cut. 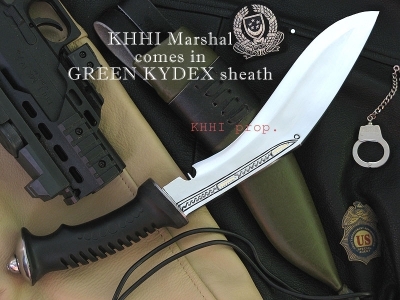 Since the khukuri is designed to do just that it is named so. The shape of the khukuri is the interesting and important part. It differs from the regular khukuri shape. The widest part of the blade is forged very close to the tip. The outgoing bevel/edge takes a sharp inbound turn to meet the tip of the blade. The shape thus has the ability to auto generate a certain weight and a driving force when swung, and hence making cutting easier lessening effort and time. Since it is a typical knife, both handle and blade are not polished/ shined. The unpolished handle also offers better and stronger grip. Additionally, the lower section of the handle is slight curved/ bent for comfortable and compact hold. The scabbard is also rough, not polished to go with the rough features of the knife. 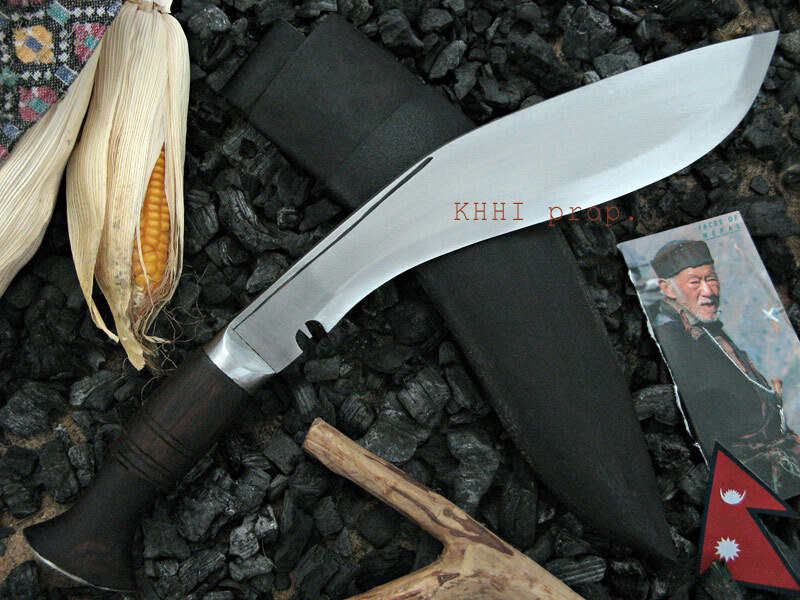 “Chinautee”, as named by KHHI is a typical raw khukuri from the remote villages of Nepal crafted by KHHI to honor these people and to recognize the hard work they do to survive.